Engineered and certified skid mounted with spark arrestor, drip pan, ESD and certified lifting sling. 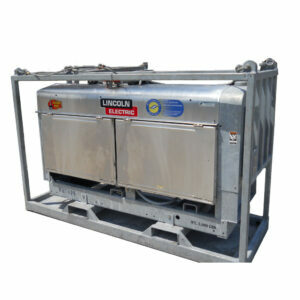 Each unit is equipped with 100' of welding lead, rod holder and 50' of ground with ground clamp. Note: If welding lead or ground is damaged or not returned, a replacement cost will be charged. These units are not to be used for arc gouging. If unit is damaged due to arc gouging, renter is responsible for all repair charges. 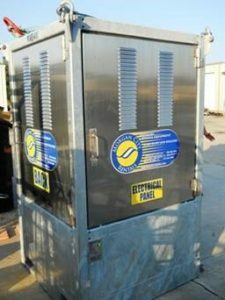 MIG Wire Feed Box Welding Unit - complete with MIG gun, gas line, flow meter, liner, and pelican case. Portable welding at it's best. 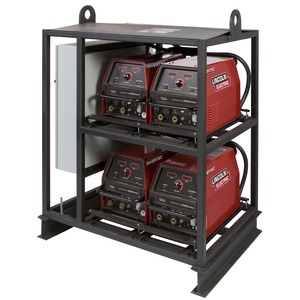 Voltage-sensing, portable feeders designed to run off of arc voltage from almost any welding power source, provide extreme reliability for construction and fabrication. 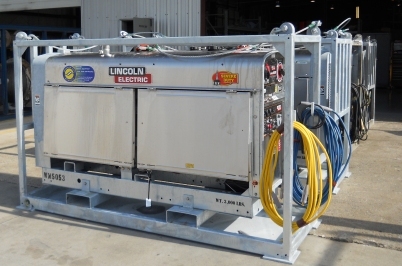 Lincoln Electric’s rack systems (Model V350 4 Pack PRO) are ideal for grouping several inverter power sources in a portable industrial-grade package. 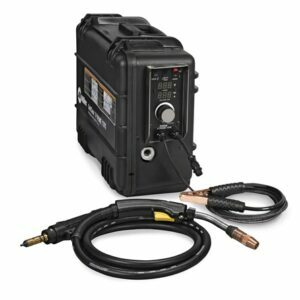 The Invertec V-350 offers multi-process CV, CC, DC welding and is rated 350 AMPS, 34 VOLTS at a 60% duty cycle. It is also rated at 300 amps, 100% duty cycle. 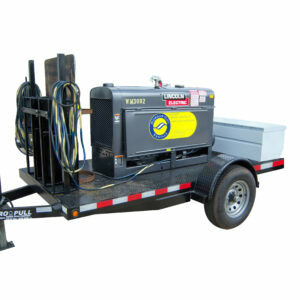 Each welding machine rental is offshore skid packaged with leads and ground. These inverter racks are constructed of heavy gauge square tubular steel to ensure long life, yet maintain an extremely compact size. Allows power sources to be connected with one primary power drop. Entire system meets National Electrical Code (NEC). Provide overcurrent protection for each power source. Ensures the power sources can be placed in any position on the rack.